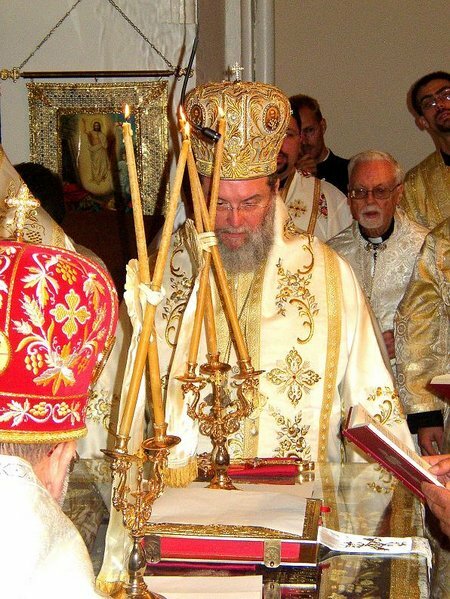 The Antiochian Archdiocese website has just published video of His Grace, Bishop Basil (Essey) of Wichita, Secretary of the Episcopal Assembly of Canonical Orthodox Hierarchs of North and Central America, reflecting on that body. The video was recorded on June 17, 2010, at his diocesan Parish Life Conference. It’s of particular note to those interested in history that the bishop begins his talk precisely on a historical note, putting the Assembly in the context of the long-awaited Great and Holy Synod. Next : A church in New York in 1850? A great talk. While Protestant denominations continue to divide and multiply – or at least spend most of their time considering internal strife – the Orthodox churches in America show us a path to true unity.